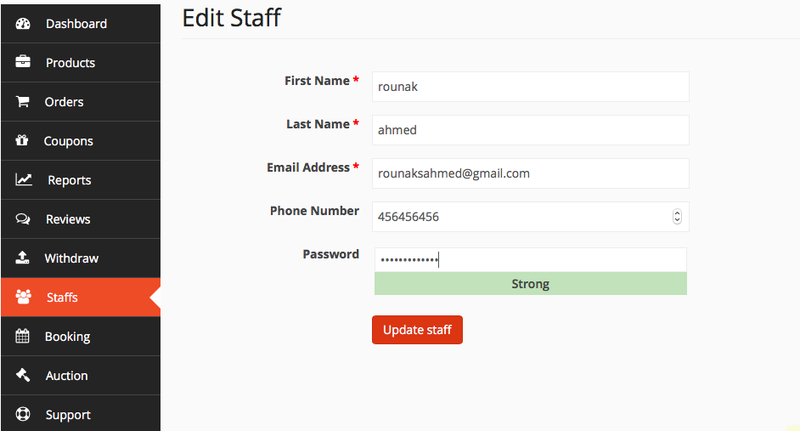 Vendor Staff Manager Module for Dokan Multivendor Marketplace, is available for users of Business and Enterprise Plans. Navigate to your WP dashboard→Dokan→Modules. Find Vendor Staff Manager and turn on the toggle button on the top right to activate this module. 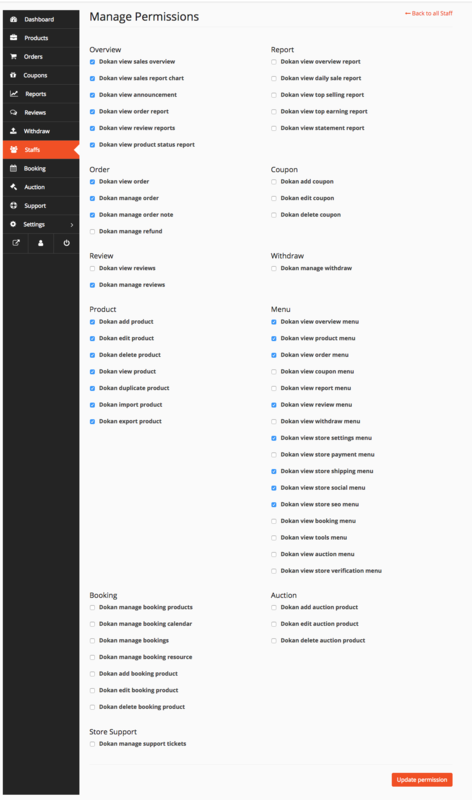 For any new user that vendors create, admins will be able to view them under WP-dashboard->Users->All Users. When the module is activate, vendors will be able to view a new menu from the Vendor Dashboard. To change staff's privacy, click on Manage Permissions. This will take the vendor to a new page, as shown below, where the vendor will find several options to change user permission.